Getting a deal on a replacement battery for your camera is always nice. Finding a price that’s too good to be true probably mean it’s a counterfeit battery. And how bad is that? Canon says it can lead to incendiary results! I’ve been preparing for the seasonal uptick in the number of family photos I’ll be snapping over the next couple of months. And I decided to finally replace my old Canon back-up battery for my point-and-shoot camera. My ‘NB-5L’ is three years old and can’t hold its charge anymore. After taking a few pictures powered by this aging battery, my camera starts to freak out and then shuts down rather pathetically. Always carry a spare battery with your camera. So should I spend $60? Or should I pay $9? Well, Wasabi Power’s battery certainly has the attractive price. But I don’t really expect an inexpensive third-party battery to perform at the same level as a Canon battery. The $29 battery from EXELSHOTS appears to be a genuine Canon product, but it’s eleven bucks cheaper than B&H Photo’s deal. And as we all know, it’s hard to beat B&H. So does that mean it’s a counterfeit battery? 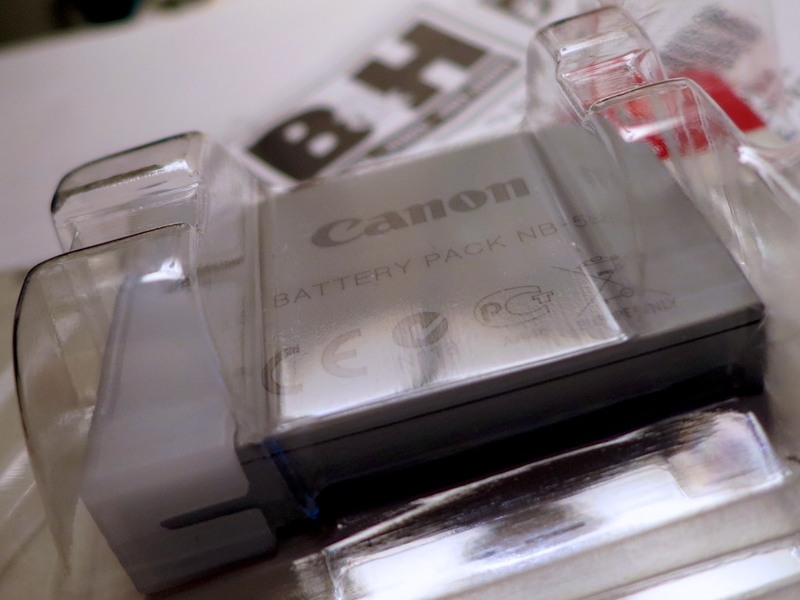 Even though Canon puts a hologram label on their battery pack packaging, you still may have a hard time telling the difference between the real deal and a counterfeit product. And how bad would that be? According to Canon…. Really bad. …Counterfeits can destroy your camera! You could be collateral damage!! In addition to their clever video on the dangers of using counterfeit batteries, Canon’s got a number to call so you can turn in your neighbor or anyone else who’s fueling this illegal problem. Look, I get that counterfeit camera accessories are bad for Canon’s bottom line. But counterfeits fraudulently use someone else’s logo. And you have absolutely no idea who’s manufacturing the tech. But how dire is all this really for the health of your camera? And should you consider the risks as any more than a ‘Play it Safe’ marketing campaign for Canon’s own products? And the recently released results from their Anti-Counterfeit Study say that 18% of you have already unknowingly bought counterfeit consumer electronics in 2013. Are you the one in five who’s been using this dangerous counterfeit gear? And can you be sure your camera isn’t about to explode?!! Well, buying direct from Canon would help mitigate any potential camera ‘malfunctions.’ Or purchasing from a reputable dealer like B&H Photo. Going with Amazon is a little iffy in this situation, especially if the price is 25% cheaper. And even with Prime, Amazon is still using a third-party dealer you don’t know. So I think the decision tree is pretty straightforward. Buy from a Canon dealer you know and trust. Will your camera self-destruct if you don’t? And are you probably safe ignoring Canon’s marketing-drenched warnings, which are likely a well-designed mixture of propaganda and the truth? Is it worth finding out just to save eleven bucks?